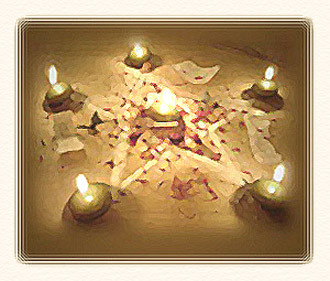 Often used as a synonym for Witchcraft, "Wicca" is thought to derive from an Anglo-Saxon root meaning to bend or to turn. It is more properly applied only to those Witchcraft traditions which originated in or derive from practices in the British Isles. By some estimates, Wicca "appears to be the fastest growing religion in America." (1) But what exactly is "Wicca" anyway? One scholar writes, "The modern religion of Wicca, otherwise known as Old Religion, Magick, Witchcraft, the Craft, and the Mysteries, is part of the neo-pagan movement." (2) In this article I hope to accomplish two things. First, I want to outline some of the fundamental doctrines of Wicca; second, I want to offer a biblical critique of those doctrines. "Then the sons of Israel did evil in the sight of the Lord . . . they provoked the Lord to anger . . . they forsook the Lord and served Baal and the Ashtoreth." But if the only true God rejected the ancient Canaanite religions and their practices, would His reaction to modern Wicca likely be any different? Might there actually be some truth to this? Indeed, there might. The book of Exodus tells us that the Egyptian magicians were able to duplicate, by means of "their secret arts," the initial plagues God brought upon Egypt! (33) Furthermore, the text never hints that this was done by any means other than some genuine secret power. In light of this we might ask why God is so opposed to the practice of magic. After all, couldn't such power be used for good, as well as evil? But God specifically warned the Israelites: "There shall not be found among you anyone" who practices divination, witchcraft, sorcery, or spiritism. (34) Why is this? Like Christians, Wiccans do not believe that physical death is the end of personal existence. Nevertheless, in its details the Wiccan doctrine of the "afterlife" differs substantially from the biblical view. How so? IPS Note: See The Message of the Bible the Bible's description of this kingdom of God, also called heaven is no pie in the sky ethereal place 'somewhere out there', but matches, in every respect, the world most men and women would choose to live in. a place of peace and safety, where there is no crime, hunger and disease, war and above all... no death. Far from being outdated, out of touch, and largely irrelevant to modern society, Christianity promises exactly the utopian world most men and women can only dream of. What and Where is Hell? The belief that Hell is a place of unending torment has been so strongly held throughout the history of Christianity that few have dared to challenge it. Besides which, since most modern challenges have come from the cults, a person who dares to question the traditional viewpoint runs the risk of being labeled a cultist. However, the deeper one delves into the subject the less persuasive the argument in favor of the traditional view become. For example, there is not a single verse in the entire Bible that says anything remotely similar to "everyone has eternal life; it's only a matter of where each will spend it." Yet, this is what most of the church believes, assuming that the idea has it's origins in the Bible. It does not. Of the many references to the spirit in the Bible, never once is it said to be immortal, imperishable, or eternal. On the contrary, the Bible tells us that God alone possesses immortality. Additionally, over and over again, Christians routinely go through some astounding verbal and theological gymnastics to take the word "death", and make it mean eternal life in hell, and take the word "perish" and make it mean "never perish". However, it is totally pointless to embark on a investigation unless one is prepared to set aside one's denominational presuppositions, and other biases, and rely strictly on what the Word says. This seems to be easier said than done for many, if not most, Christians. The belief in the soul's rebirth into the physical world, also known as reincarnation, is another way in which Wiccan doctrines differ from those of biblical Christianity. Though the doctrine of reincarnation is completely unbiblical, many Wiccans actually believe it is taught in the Bible. Raven Grimassi cites John 9:1-3 as evidence that even Jesus and His disciples believed in reincarnation! (41) In this passage Jesus' disciples ask Him about a man born blind: "'Rabbi, who sinned, this man or his parents, that he should be born blind?' Jesus answered, 'It was neither that this man sinned, nor his parents; but it was in order that the works of God might be displayed in him.'" Grimassi comments: "Jesus does not denounce the question of this man's existence prior to this birth, but explains that [his blindness] had nothing to do with his sins prior to his present life." (42) But is this interpretation correct? Is Jesus really affirming that this man existed prior to his present life? Is Wicca Another Way to God? Scott Cunningham claimed, "All religions have one ideal at their core: to unite their followers with Deity. Wicca is no different." (46) He also wrote, "Perhaps it's not too strong to say that the highest form of human vanity is to assume that your religion is the only way to Deity." (47) But is it really true that there are many ways to God, or is there only one? Although it's quite common in today's pluralistic society to assume that all the enduring religious traditions of mankind are equally valid ways to God or Ultimate Reality, there are tremendous philosophical difficulties with this belief. Since we are here concerned with both Wicca and Christianity, let's briefly compare some of the fundamental tenets of these two religions and see what we come up with. Charlotte Allen, "The Scholars and the Goddess" The Atlantic Monthly (January 2001): 18. Fritz Ridenour, So What's the Difference? (Ventura, California: Regal Books, 2001), 209. Raven Grimassi, The Wiccan Mysteries: Ancient Origins and Teachings (St. Paul, Minnesota: Llewellyn Publications, 2000), 33. Scott Cunningham, The Truth About Witchcraft Today (St. Paul, Minnesota: Llewellyn Publications, 1999), 76. Grimassi, The Wiccan Mysteries, 33. Cunningham, The Truth About Witchcraft Today, 73. Grimassi, The Wiccan Mysteries, 26. Ridenour, So What's the Difference?, 210. This is not to imply, of course, that Wicca itself is ancient. The antiquity of Wicca has been seriously challenged by modern scholarship. Grimassi, The Wiccan Mysteries, 25; Cunningham, The Truth About Witchcraft Today, 72. For instance, see Judges 2:11-17; 2 Kings 23:4-14; Jeremiah 44:15-23; Ezekiel 8:14-15. For documentation concerning the consort of Ashtoreth being Baal and/or Tammuz see J.D. Douglas and Merrill C. Tenney, eds. The New International Dictionary of the Bible (Grand Rapids, Michigan: Zondervan, 1987), s.v. "Ashtoreth," 100-01; "Tammuz," 986. For documentation that Ishtar, the queen of heaven, was associated with Tammuz see Trent C. Butler, gen. ed. Holman Bible Dictionary (Nashville, Tennessee: Holman Bible Publishers, 1991), s.v. "Ishtar," 721; "Tammuz," 1321. Grimassi, The Wiccan Mysteries, 99. Edward J. Young, The Prophecy of Daniel: A Commentary (Grand Rapids, Michigan: Eerdmans Publishing Co., 1978), 103. Compare Daniel 4:17 with 4:24. Grimassi, The Wiccan Mysteries, 102. Ibid. This is not to imply that Wiccans explicitly worship Satan or demons (understood in the Christian sense). They are very careful to say they do not, and we should take them at their word. At the same time, is it legitimate to ask if one can be deceived by the devil without actually worshipping the devil? For while Wiccans may not worship the devil, the Bible seems to indicate that they have nonetheless been deceived by him. Wicca, for example, rejects the biblical doctrines of God, man, Christ, sin, salvation, etc. As a religion, therefore, Wicca helps prevent men and women from coming to a saving knowledge of God through faith in Jesus Christ. The Bible, however, declares that this is also one of the activities of Satan! It reveals that the devil "has blinded the minds of the unbelieving" to keep them from saving faith in Christ (see 2 Cor. 4:3-4). It is for this reason that Christians, while acknowledging that Wiccans do not worship the devil, nonetheless view the religion of Wicca as a means of Satanic deception since it keeps its followers from saving faith in Christ. Grimassi, The Wiccan Mysteries, 140. Cunningham, The Truth About Witchcraft Today, 125. See Exodus 7:11-12, 22; 8:6-7. Grimassi, The Wiccan Mysteries, 106. Norman L. Geisler and Ron Rhodes, When Cultists Ask: A Popular Handbook on Cultic Misinterpretations (Grand Rapids, Michigan: Baker Books, 1997), 175. Cunningham, The Truth About Witchcraft Today, 77. Starhawk (Miriam Simos), The Spiral Dance: A Rebirth of the Ancient Religion of the Great Goddess (San Francisco: Harper and Row, 1979), 9, cited in Ridenour, So What's the Difference, 213. Allen, "The Scholars and the Goddess," 19. See John 14:6 and Acts 17:31. © 2002 Probe Ministries Copyright/Reproduction Limitations This document is the sole property of Probe Ministries. It may not be altered or edited in any way. Permission is granted to use in digital or printed form so long as it is circulated without charge, and in its entirety. This document may not be repackaged in any form for sale or resale. All reproductions of this document must contain the copyright notice (i.e., Copyright 2007 Probe Ministries) and this Copyright/Limitations notice.